Mystical Picture from RY Launch Day! ~ The Toronto Hare Krishna Temple! Mystical Picture from RY Launch Day! On Sunday, May 1st, the Toronto Hare Krishna Temple celebrated our Ratha-Yatra Launch Day. The festival kicks off the official count-down to our biggest festival of the year: Ratha-Yatra (Festival of India). A full Festival Report along with pictures are coming soon! But here is a little "preview picture", captured by Lena Ausheva! 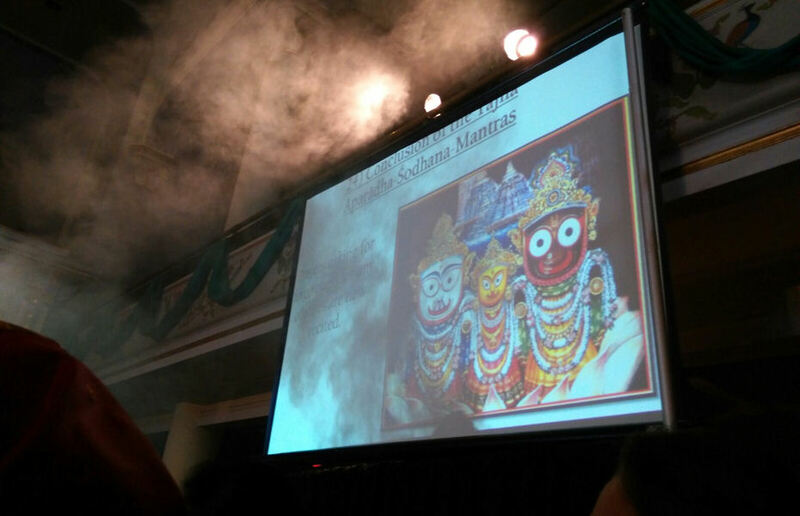 The events at Iskcon toronto are fabulous. Love Them all. Hare Krsna. Where could I please find the Namaste Narasimha sung by Radha Murari Group? They are a divine group. All musicians there are fabulous.